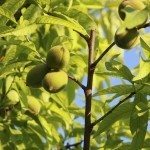 In March I planted a peach tree that had fruit on it. We harvested about 5 peaches and now would like to prune for shape. Could I prune it now or should I wait until early next spring? I live in central Florida and am afraid of disease if I prune now. Pruning should be done during dormancy.